Wendy has been involved with Wipe Your Tears since 2009 where she began her journey as a volunteer, offering numerous hours to help raise awareness and fundraise to help the charity to grow. From this Wendy accepted the role as a Trustee and then in January 2016 took over Wipe Your Tears as Chief Executive. Wendy has a great understanding and an emotional attachment to the charity stemming from having a seriously ill child herself. Wendy has infectious enthusiasm and gives those around her the drive and determination to succeed. She also has great respect for the charity’s values. Wendy is happily married to her husband, Paul in Manchester and is a mother to 3 grown up children and has 2 granddaughters. In her spare time, Wendy is an enthusiastic reader, her favourite author being Ellie Griffiths and with the little spare time that she has, you will find her baking cakes which is a passion of hers and spending quality time with her family and granddaughters. Gen has been involved with Wipe Your Tears since 2011 as a volunteer offering her time to raise awareness of the charity’s work. 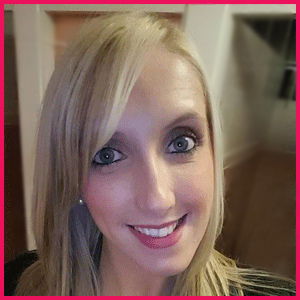 In 2014 Gen joined the Wipe Your Tears team as Fundraising Manager and organised numerous fundraising events. In January 2016 upon return from maternity leave of her second daughter, Gen took over the role of Grants Administrator and looked after all of Wipe Your Tears grant applications and oversaw all of the Charity’s administrative tasks. Due to her versatility within the charity, Gen has now taken over the role of Charity Coordinator and her daily tasks range from Grant Applications, sourcing contacts, general administrative tasks, attending Fundraising and Networking events. Gen is happily married to her husband, Bradley and lives in Manchester with their 2 daughters. In her spare time, Gen enjoys keeping fit, shopping and spending quality time with her family. Paul has been involved with Wipe Your Tears since 2010. Supporting Wipe Your Tears has become part of Paul’s life, whether it is promoting events or promoting the charity at any given opportunity. Paul is happily married, a keen fisherman and also owns his own kitchen and bathroom company. His commitment and dedication to family life, the charity, alongside his dry sense of humour makes him a fantastic Ambassador. Paul promotes the charities work at every given opportunity and always goes the extra mile; once seen never forgotten. Mark is happily married and has three grown up children and two grandsons. Mark has been a security officer at Manchester University for 27 years and prior to that he served six and a half years in the Royal Navy. He is also a former basketball and football coach and has worked with children for over twenty years, also coaching his own children when they were at school. Mark has been involved with Wipe Your Tears since 2012, initially as a supporter and more of late has become more involved when he has accepted the role of one of the charity’s Ambassadors. Mark comments “having kids of my own and having worked with many over the years whilst coaching, I’ve seen domestic situations and how they affect the children so I was glad to be a shoulder to cry on or a friend to turn to. Working with Wipe Your Tears just continues that work and allows me to continue to help the most vulnerable in society with a smile and a sense of good feeling alongside a wonderful team”. Mark is a First Aider and Heart Start trainer, he can teach CPR and Defibrillator training to any of our charity partners if required.